“We won the battle, now we need to go win the war,” shared defense attorney David Coombs following today’s verdict. “Today is a good day, but Bradley is by no means out of the fire,” he said to dozens of emotional supporters outside of the Fort Meade, Maryland military courtroom. 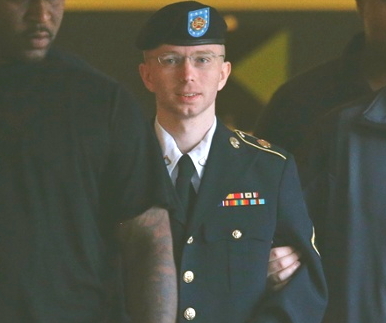 Coombs expressed subdued optimism going into the expected month-long sentencing phase of the court martial that will determine how long Bradley Manning will remain in confinement. Bradley Manning had previously accepted responsibility for providing classified information to WikiLeaks, actions covered by ten of the 22 charges. Military judge Colonel Denise Lind found him guilty of 20 of those 22 charges, so PFC Manning still faces the possibility of over 100 years behind bars. On July 25, Jerry Ebner was sentenced to 6 months in prison. Ebner crossed the line at Offutt Air Force Base, home of STRATCOM, on December 28, 2012 during the 34th annual Feast of the Holy Innocents witness. 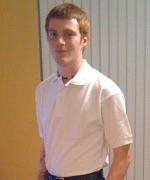 He will be allowed to self surrender at a federal prison to be assigned to him in a month or so. Four peace activists were arrested on July 19 blockading the Caroona Street gate of Western Street Barracks, Rockhampton (Queensland, Australia). 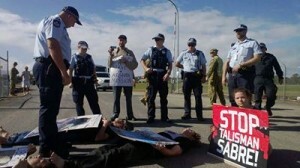 Their intention was to disrupt the Talisman Saber war rehearsals by putting their bodies on the road in front of military supply vehicles, activist Graeme Dunstan said. 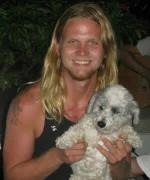 He said those arrested are Andy Paine, Jim Dowling, David Sprigg and Robin Taubenfeld, all of Brisbane. 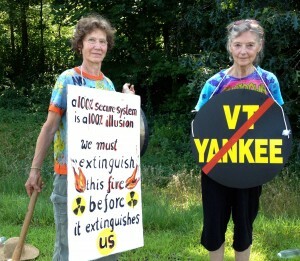 VERNON, Vermont—Timing their presence to coincide with the end of the day shift at Entergy’s Vermont Yankee nuclear power plant on Monday, July 15, eight women of the Shut It Down Affinity Group displayed signs from a legally-designated spot across Route 142 from the power plant driveway as workers exited. Linda Pon Owens of Brattleboro and Ulrike Moltke of Sharon counted more than 150 vehicles. Drivers of many of the vehicles waved cheerfully to the demonstrators, who returned the salutation. The thermometer registered 93 degrees Fahrenheit, and one worker called “Stay hydrated, Ladies,” to the demonstrators. 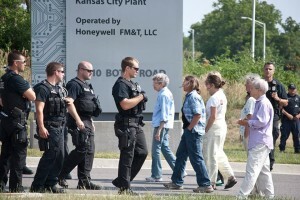 On July 13, about 80 people sang and prayed at the entry road to a new facility in the U.S. nuclear weapons complex. 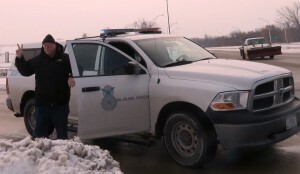 By 10:15 a.m., two dozen protesters had crossed the property line and were soon arrested. 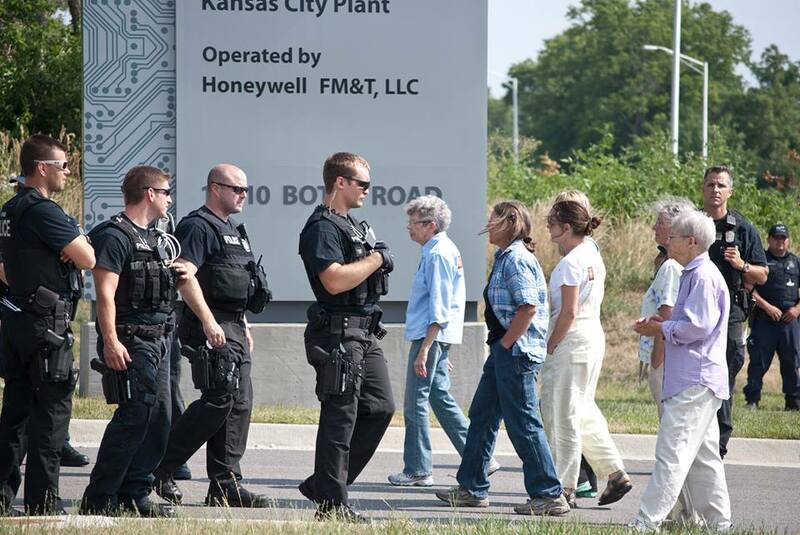 The five-building facility, the Kansas City Plant, at 14510 Botts Road in Kansas City, Missouri, will by next year house the operations of the current Kansas City Plant (at Bannister and Troost in KC), where 85 percent of the non-nuclear parts for U.S. nuclear weapons are made or procured. Update from NATO5Support: At a July 23 hearing, the judge told both sides to be ready instead for trial in early January, 2014. A final date will be confirmed at the next pretrial hearing on August 6. 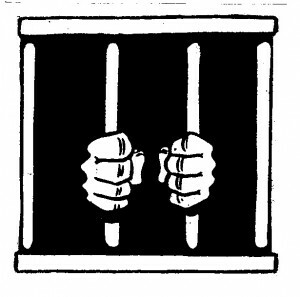 Please write to judges and officials this summer in support of six imprisoned anti-nuclear and anti-war activists. Invite some friends over and sit down to write letters together, or perhaps you can include it as an activity at your peace group’s next meeting. Click on the links below for information on the support actions needed. 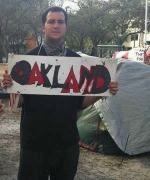 You can also write a note of support to these and other activists behind bars (addresses here). 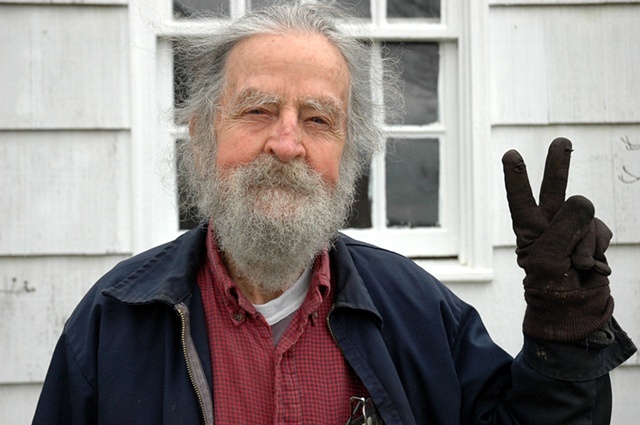 Gordon Maham, 96-years-old and a long-time anti-nuclear activist, died on July 9 at his farm in Ohio. Gordon helped build the Y-12 plant in Oak Ridge, Tennessee, and quit the Manhattan Project when he heard about Hiroshima and his role in building the bomb. He then lost his war industry draft exemption and served three years in federal prison as a post-war conscientious objector. His life’s journey continues to inspire.